Looking forward to performing in an upcoming concert with Cloud9 Women’s Choir on Saturday 25 July. 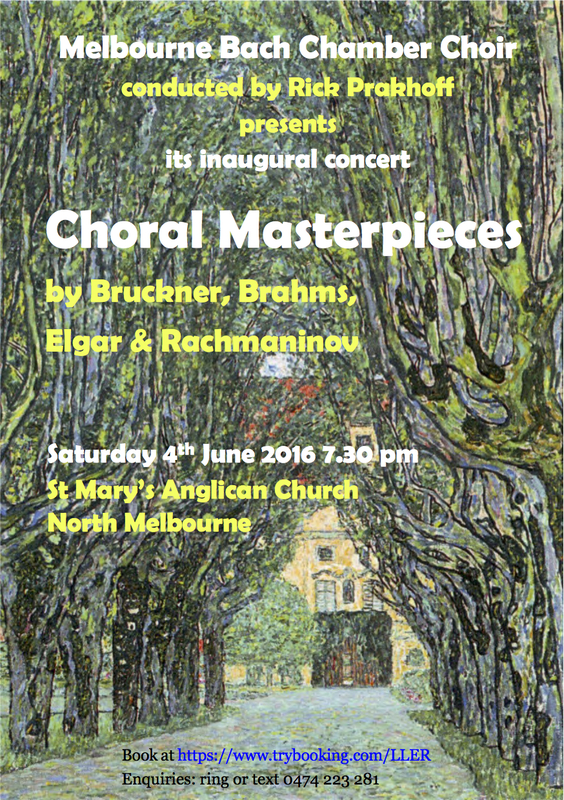 I’ll be singing two songs of Vaughan Williams, and a Britten folksong thrown in for good measure. See the flyer below for details! Concert tonight! Brahms, Bruckner and Rachmaninov! Concert tonight! Come along if you’re free. See flyer for details!